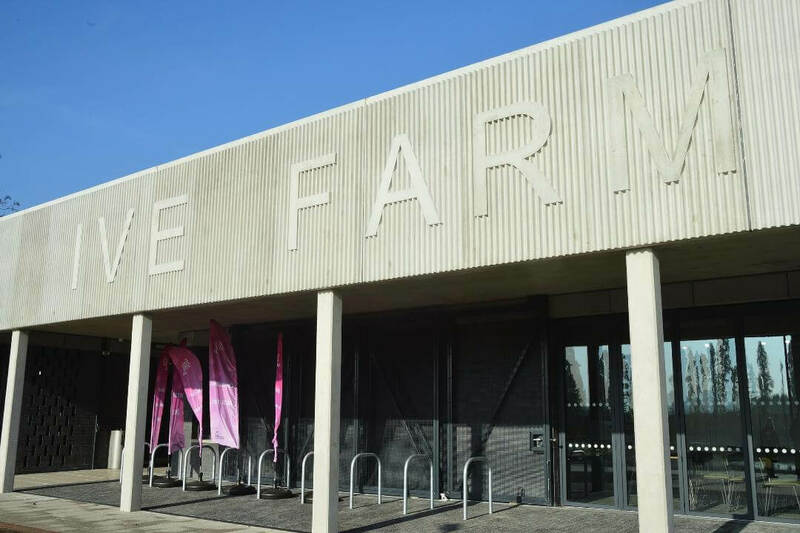 An Olympic Gold medallist and two products of the Leyton Orient youth system have opened a new pavilion and sports centre at Ive Farm Sports Ground in East London. Hockey midfielder Helen Richardson-Walsh MBE opened the Feel Good Too sports centre alongside Orient defender Sam Ling, goalkeeper Charlie Grainger and ribbon cutter Clare Coghill, the leader of Waltham Forest Council. Richardson-Walsh won gold at the 2016 Rio Games, after converting a penalty in the dramatic shootout win over defending Olympic and current world champions Holland. The £11m scheme in Leyton masterminded by main contractor Wilmott Dixon is now the new home of the Leyton Orient FC Academy, which has moved from the Score Centre, that will now be redeveloped for housing by Taylor Wimpey. The innovative scheme was designed by Fifth Studio Architects, supplied by fellow PSSA members Zaun Ltd and installed by subsidiary Binns Fencing.